Back in June, we took vacation in New York. Most who know me, are quite aware this is my favorite place to visit (so far). For years, my wonderful friend Sarah and I would literally eat our way through the city, as part of an annual tradition. I’ve still yet to go to a “nice” meal at a “fancy” restaurant in Manhattan, but I am 100% fine with this. 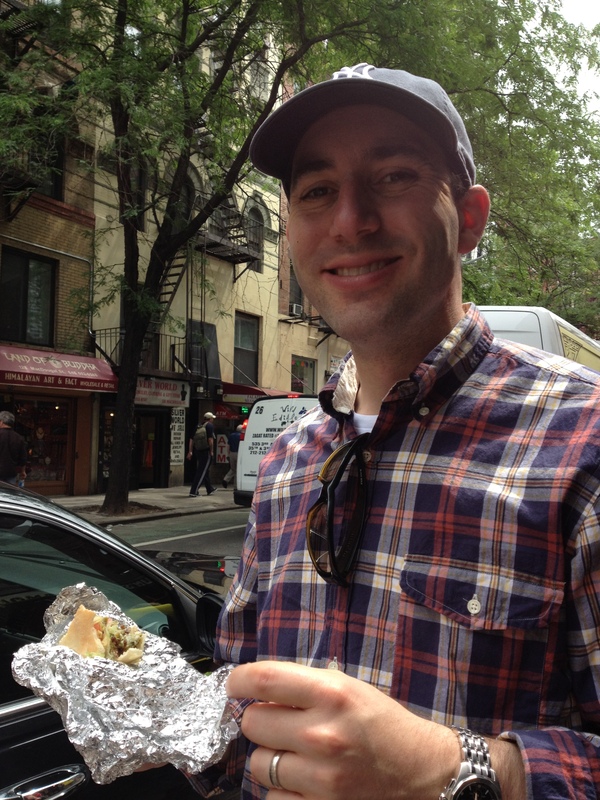 Especially, when Mamoun’s Falafel and Eataly exist. 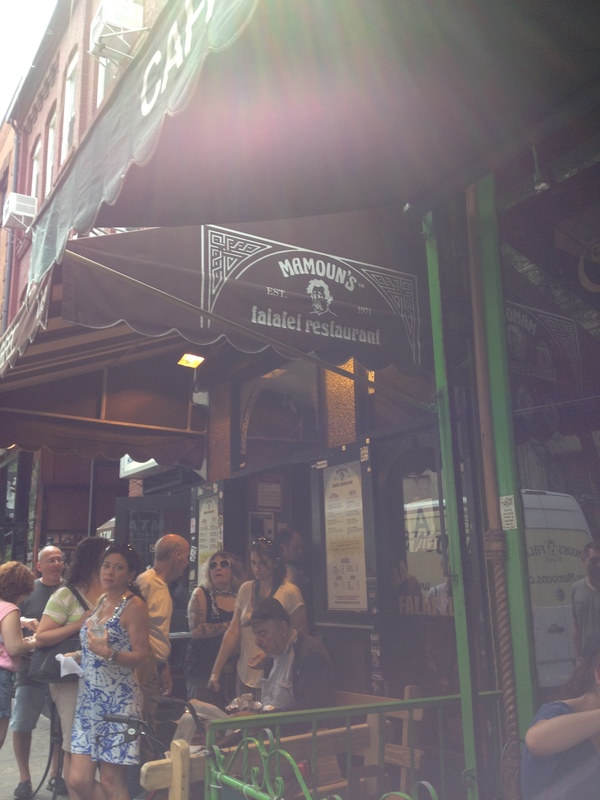 Mamoun’s is quite possibly as cheap as it gets in NY for a meal – I think it’s $2.50 for a falafel now. 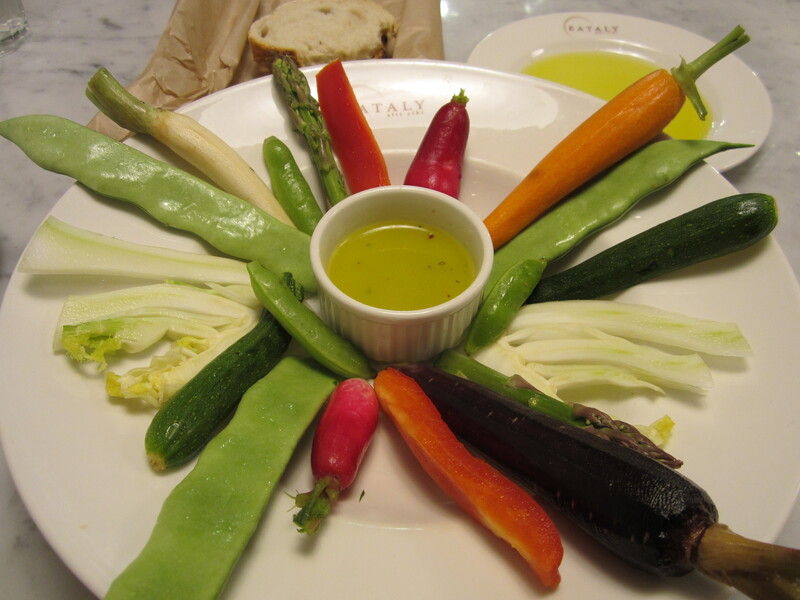 And, Eataly, might not be as cheap, but it sure is as memorable. I think our pictures below say it best. YUM! Summer mornings are some of my favorite. Being a morning person already, waking up to a room full of sunshine is just about one of my favorite things. 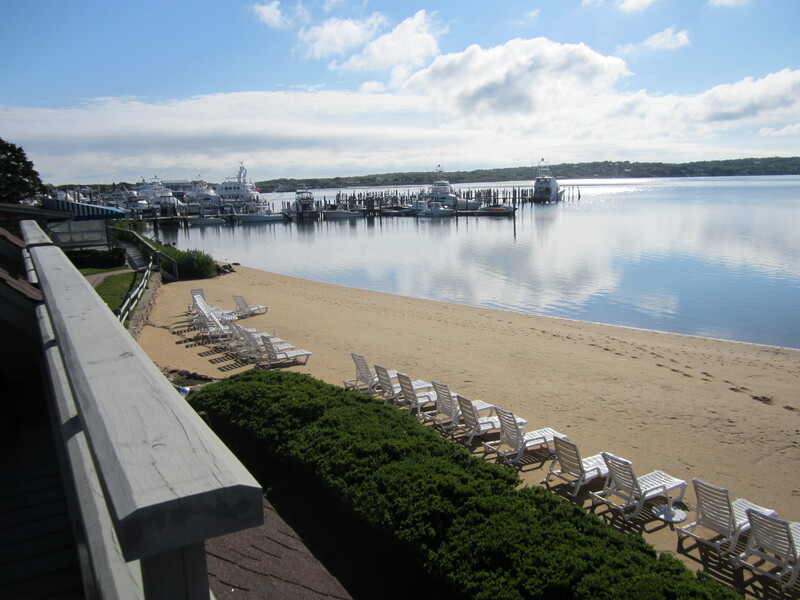 A few weeks ago in Montauk, I not only woke up to sunshine, but walked out right in it! Something about this time of year, sitting outside and staying low-key is just right. My July playlist is a mostly mellow mix for those hot summer days – and if you’re like me, keeping it low-key also means slowing down the pace in the kitchen. *Links take you to iTunes. I’ve been going to art museums, that I remember, since I was 9 years old. One of the benefits to being in Magnet schools throughout my K-12 education were extra field trips – most of them to museums. Perhaps because the Museum of Contemporary Art (MOCA) in Los Angeles, is the first one I remember, modern art holds a deep spot in my heart. I love the million ways it can often be interpreted. 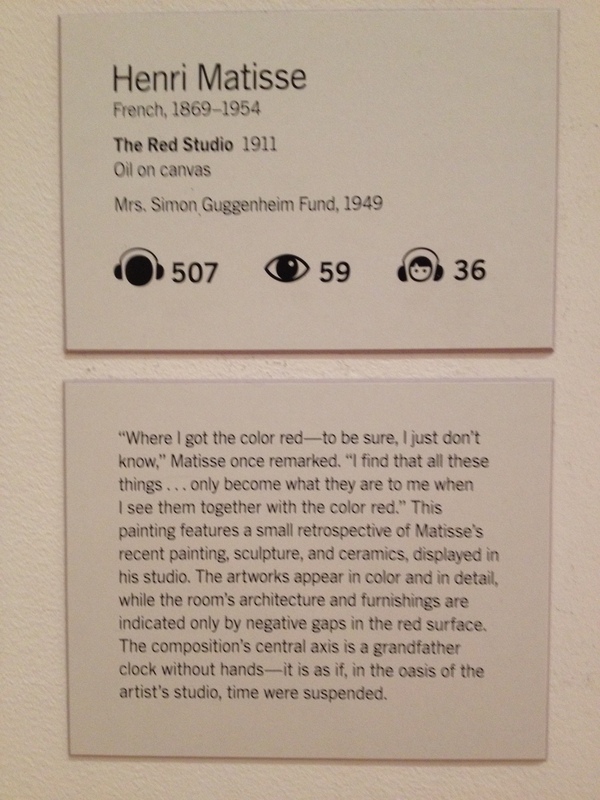 Naturally, when we were in New York, the Museum of Modern Art (MOMA), was a must-see. Sure, I’ve been several times before, but seeing artworks at different points in my life is like visiting with an old friend – I always take something different from the experience, learning a little more about myself. 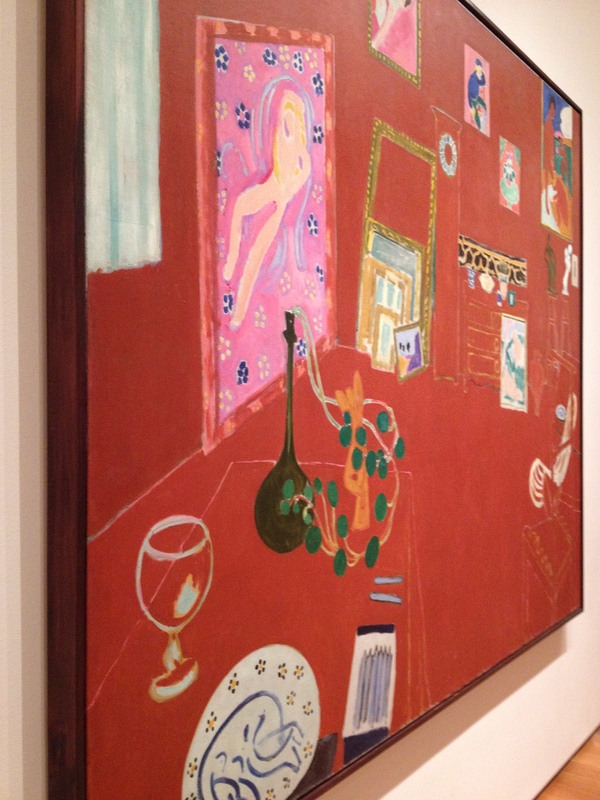 This trip, Matisse’s The Red Studio made a particularly significant impression. Did the red in negative space quiet the outside noise of things that interfere with seeing what exists in reality? Whatever he really meant by this, I feel as though my journey the past months has been just this. One instance is in practically eliminating meat of all kinds in my diet. With this, I have learned to enjoy many different combinations of foods that are healthful, satisfying, and fun to make – an overall positive change. Whatever you take from this painting, perhaps it is also a reminder to see the glass half full – and embracing the discoveries that result from blocking out the negative. *Disclaimer – My experience in (mostly) eliminating all types of meat is a personal choice. 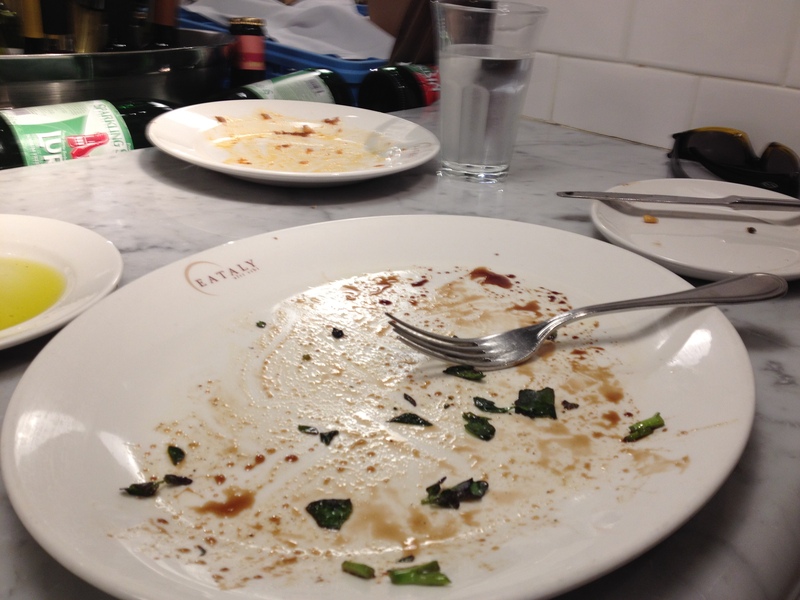 I was brought up “not to look at other people’s plates” and make it a habit not to judge others’ food decisions. We had a lot of great food on our trip to New York a few weeks ago, and the one I keep thinking about is our lunch the day we arrived in Southampton. While I have still yet to try sushi from Nobu, I can now cross off eating there on my bucket list. 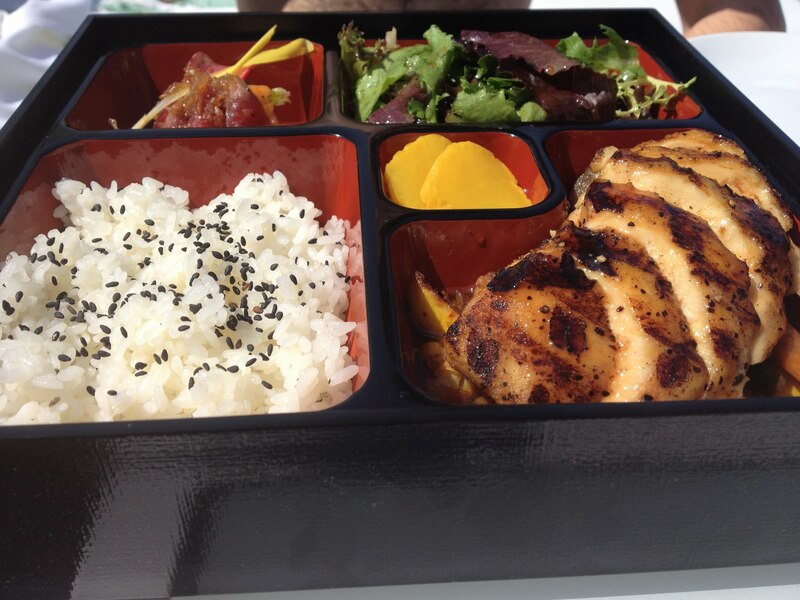 We shared a Bento Box that had tuna sashimi, salad, rice, and teriyaki chicken. It was the perfect lunch. 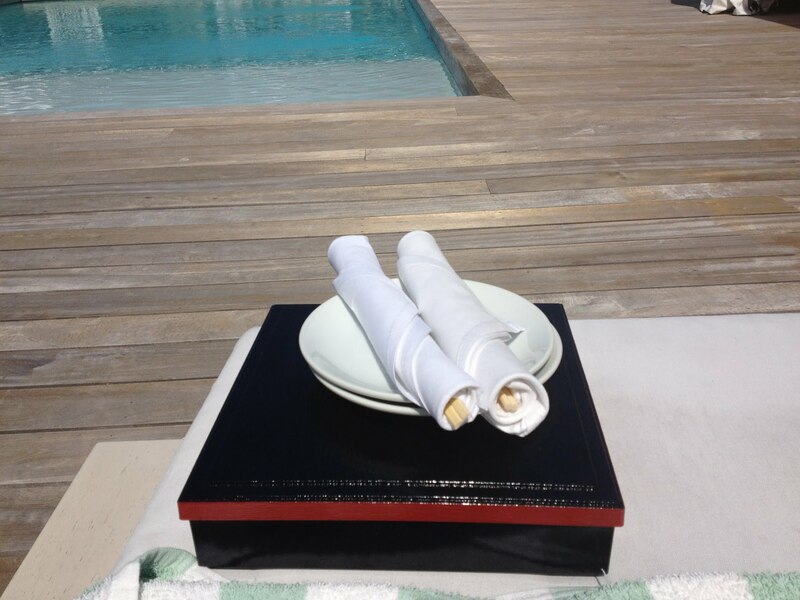 The next time you’re in Southampton, check out Nobu at the Capri to get yours. With Father’s Day around the corner, I wanted to share one of the favorite memories of my grandparents – their morning coffee. I should back up and mention, they met over coffee. As the story goes, my Grandma was working at her sister’s restaurant. Upon my Grandpa ordering his coffee, my Grandmother asked if he wanted any sugar. At that point, he took her finger, put it in the cup and said, “It’s sweet enough already.” Whether we were sleeping over at my grandparent’s house, they slept over at our house, or my aunt’s – they never went a morning with out their coffee. I remember waking up seeing my Grandma reading the paper, the whole house smelling like coffee. I also remember her saying she didn’t like the taste, but loved the smell. My parents do not drink coffee, so they always enjoyed some Nescafe at our house – but it was never quite the same aroma as fresh brewed. And so, as I grew up and entered college – I began a love affair with coffee, similar to my Grandma – the smell over taste. Well, until lately. I admit, I have my preferences – particularly because I often order decaf – which tends to be a milder flavor than the regular. In New York, we had fun checking out some new coffee shops. What we found was some delicious coffee – that could beat Starbucks or Peets any day. 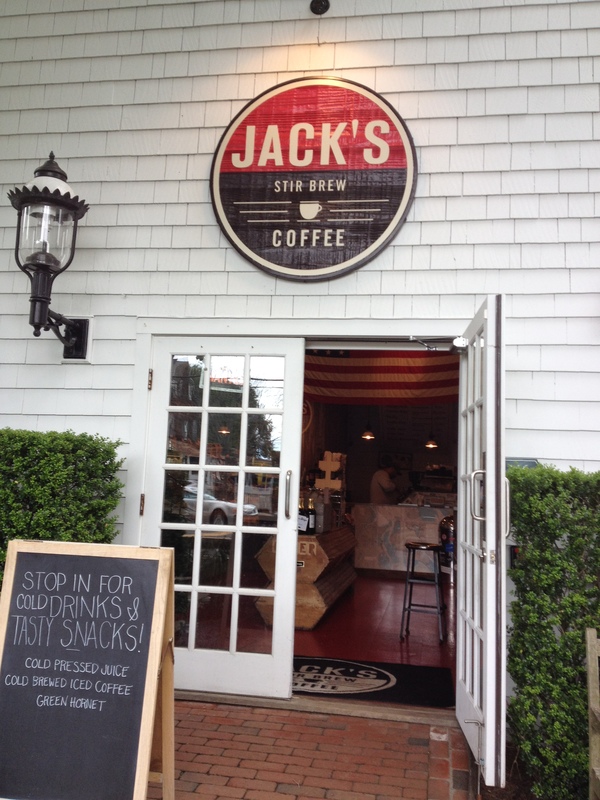 Our favorite can be found at Jack’s. We hit up locations in Amagansett and in the city. While we ordered a variety of drinks over our time there, our favorite was the Iced Decaf with Soy milk. Probably the best iced coffee we’ve ever had (even next to Dunkin’ Donuts!) 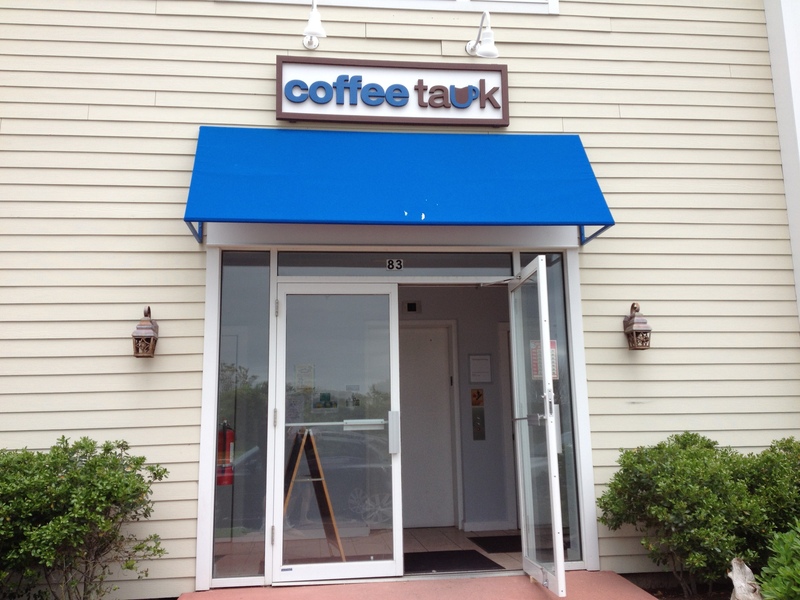 We also tried Coffee Tauk in Montauk, which online reviews tauted as good. It was, but not like Jack’s. A graduate school professor once commented on the routine of getting coffee in the morning, as more desirable than the actual coffee – and I couldn’t agree more. The experience of trying new coffee shops, in a different city, and as a break from our day’s events is incomparable. A time to regroup and re-energize with some warmth -I can see why my grandparents started every day with a cup (and even switched it for tea later in the day). I have always been an early-riser, and ever since being in the “breakfast club” with my dad (who is also an early-riser), I have learned to enjoy the quiet of morningtime with nourishing food, to energize me for the day ahead. That said, arriving to New York last week via Red-Eye was a tad challenging. This was all redeemed with breakfast at Norma‘s (on a friend’s recommendation). After we checked-in to the hotel (at 7am!) we headed right over for a breakfast that did not disappoint. 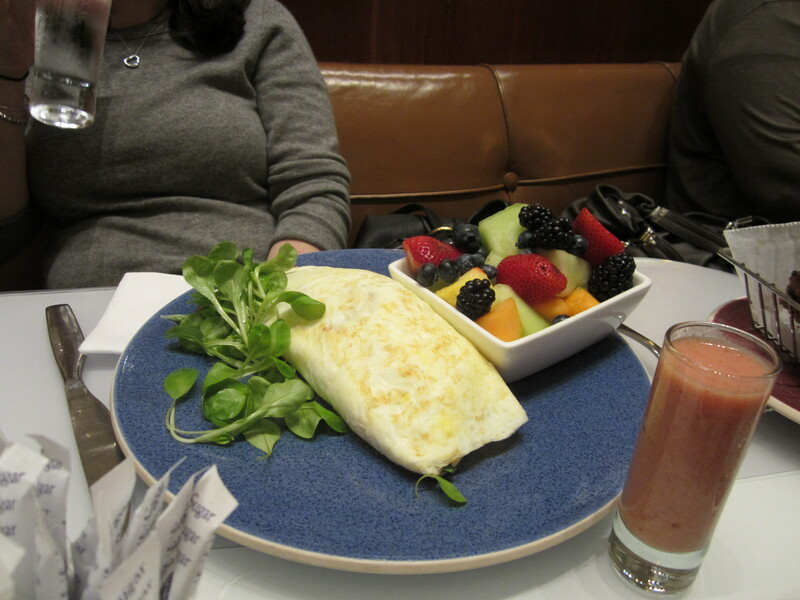 I had my usual egg-white omelet with vegetables, and Scott had the oatmeal – I mean Oatmeal ala Creme Brulee! While the picture of my eggs doesn’t capture the awesome shredded veggie mixture inside the simply cooked egg whites, Scott’s oatmeal was every bit as amazing as the picture. 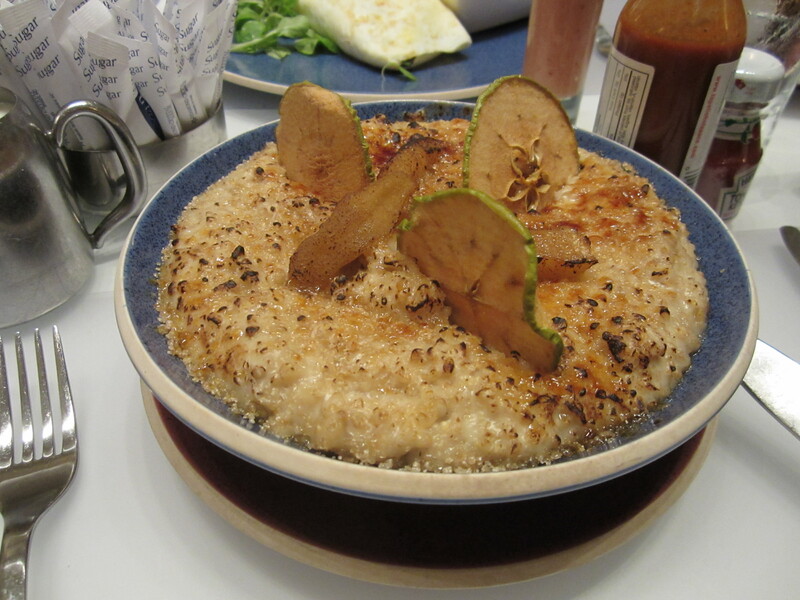 It was water-based, with brown sugar and low-fat milk on top to burn for the “brulee,” all topped with sauteed apples and pears. The restaurant was energetic and the perfect setting to keep us awake. Between business meetings, friends catching up, and other travelers, there was nothing about this restaurant I didn’t like. Great service was an added bonus. We enjoyed watching dishes being served to others, while we waited for our food – adding to the anticipation of our meals, and excitement of finally being on vacation. Next time you are in New York or Palm Springs, check this place out. It’ll be a meal you will always remember. As a Southern California native, the beaches on the east coast have long been of fascination to me. On our trip last week (aka “our second honeymoon”), we set most of our days to explore the Hamptons. The area is the perfect combination of country and beach. Were we to live in NYC, heading out east (often) to these beaches, would be a given. Not only were the Hamptons beautiful, the food was wonderful. Today, I’m starting with the bagels. You might think, “it’s New York, how could a bagel stand out – they’re all good!” — no, no, my friend. Surprisingly, we had one of the worst bagels in the city (location not to be mentioned), which made it very clear what the best bagel was – Goldberg’s Famous. 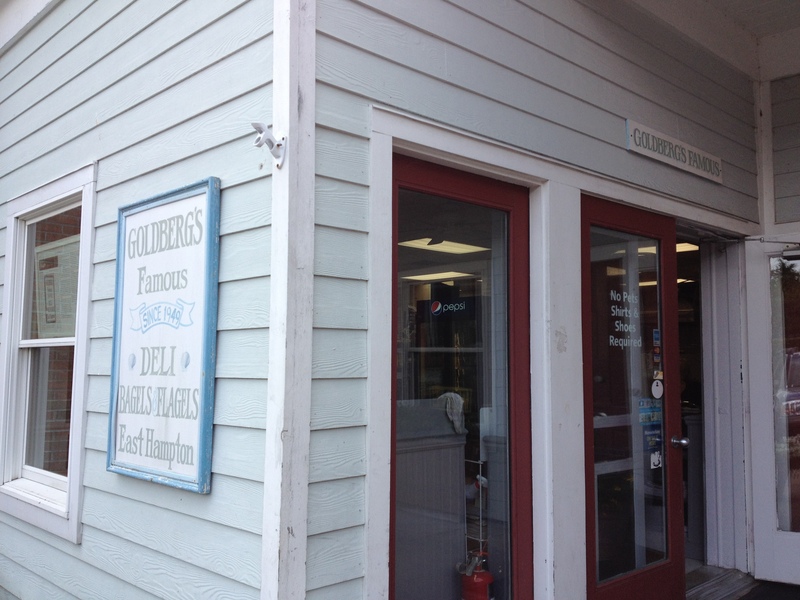 We hit up two locations – one in Southampton, the other in East Hampton. Both were delicious. 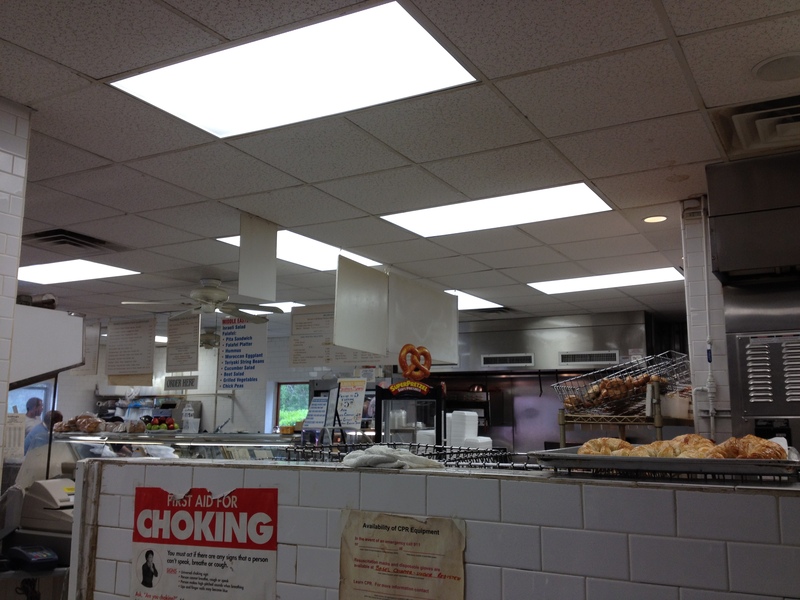 The ambiance in the East Hampton location is definitely better, but the bagels are great at both. The staff is friendly, and upon walking in, we immediately felt like locals. 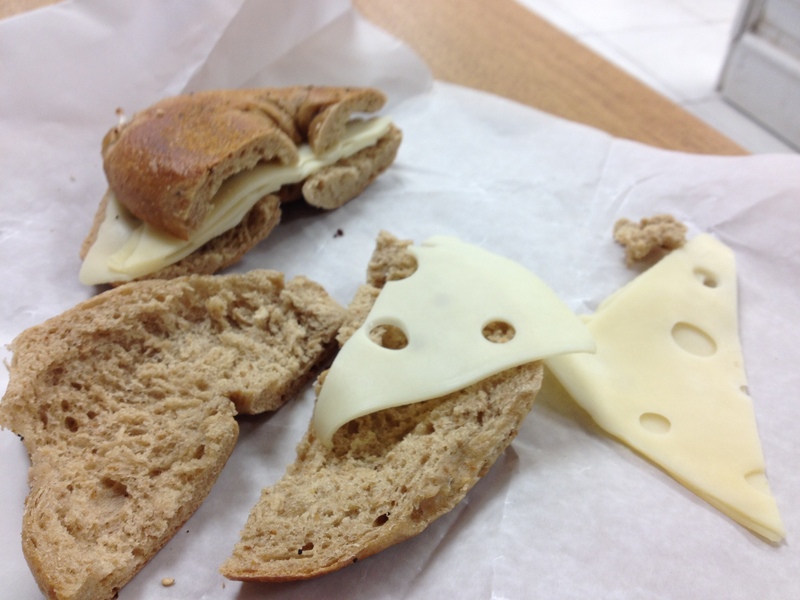 We ordered our usual to share- a whole wheat bagel, scooped, with two slices of Swiss cheese – not melted. Like I said, BEST bagel. The bagel had a brown color, making it seem true to its “whole wheat” name and had the perfect combination of crusty-but-not-too-hard-outside, and chewy inside. At home, we bounce between NY Bagel Co. and The Original Brooklyn Water Bagel Company. Bagel against bagel, I would say NY Bagel Co. is the most similar to Goldberg’s – with both being a great way to start the day. Or, you could start the day at Norma’s. More on that tomorrow. Favorite spots from a recent trip to Napa, California’s Wine Country. It’s the perfect spot for this City Girl to take on a slower pace for a few days. Highlights were olive oil tasting, the best gnocchi at Michael Chiarello’s Bottega, and amazing views along country roads.